You can only set up Direct Debit for a 12-month PPC. CHECK BEFORE YOU TICK ! Please note we require 2 working days from the time we receive your request to ensure it is ready for collection. Any requests after the cut off time (2pm) will not begin to be processed until the following working day. We prefer not to accept prescription requests over the phone and there are two reasons for this. The first is because this method can lead to mistakes and the second is because we need to keep our telephone lines free for other patients who may need to seek advice. Please help us by not engaging our telephone lines unnecessarily. Please order you medication in good time. Do not leave things until the last minute – it creates unnecessary pressure on the surgery which makes our life difficult. 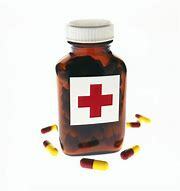 Ideally, you should order your medication 4 days BEFORE they are due to run out. The reason for this is to enable the doctors and staff to adequately monitor your prescription and make sure that you are not having inappropriate medication that may be harmful to your health in the long run. We will always aim to have your prescription ready for collection 48 hours after ordering, but unfortunately, due to some circumstances, we may not always be able to guarantee this. On occasions we all forget important things and your medication can be one of these. If you need a same day prescription please order via the same methods on the tab marked Repeat Prescription Requests as above before 10.30 am and we will endeavour to get your request ready for after 5.30pm the same day. We are keen to ensure that patients with on going medical problems are regularly monitored. If the date for your review has passed you may be asked to make an appointment with a doctor or nurse, or you may be contacted by telephone. Prescriptions for Paracetamol, baby milk, scabies, head lice or worms will not be given as an emergency. These can all be purchased over the counter at the local Pharmacy inline with the East Lancashire CCG self care policy. If you have a usual pharmacy via EPS your prescription will usually go there when issued. Any problems please telephone the surgery and speak to a trained member of staff in the prescription department on 01254 287150 OPTION (4) between 10 AM - 12 NOON. An answerphone is available on this line please leave a message with your name , date of birth and contact telephone number and a short message. Please note the reply may not be the same day if later in the afternoon. Please ensure you have the name of your medication to prevent any errors. Acute prescription requests can be dealt with this way also. At the Clayton Medical Centre we will only prescribe antibiotics if we feel that they will benefit your condition - many conditions will improve without the need for medication. The majority of common ailments such as colds, most coughs and sore throats are caused by viruses. Antibiotics do not work against infections caused by viruses and generally these will get better on their own. Some antibiotics are not suitable for people with certain medical conditions, or for women who are pregnant or breastfeeding. You should only ever take antibiotics that are prescribed to you – never 'borrow' them from a friend of family member. You are also be prescribed certain antibiotics if you are known to have had an allergic reaction in the past. This is estimated to affect about 1 in 15 people in the UK. What can I do to help combat antibiotic resistance? Don't expect to be prescribed antibiotics when you are unwell, particularly if your GP believes your illness is caused by a virus. If you collect your repeat prescriptions from your GP you will not have to visit your GP practice to pick up your paper prescription. Instead, your GP will send it electronically to the place you choose, saving you time. You can nominate a non local pharmacies too, close to work maybe? Ask for a nomination sheet OR speak to Diane McDonald who will advise you about the process on 01254 287150 option 4 daily 10am -12 noon. If you change your mind at any time, you can nominate another pharmacy or revert to collecting paper prescriptions.